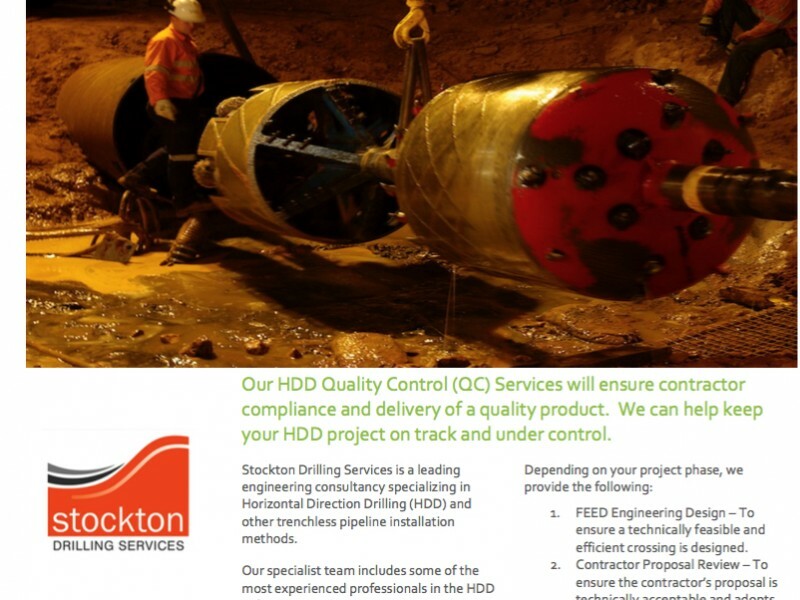 Further to the success of the Stockton HDD QC inspection package utilised for the Longford Gas Conditioning Plant Expansion, Stockton have mobilised to site to provide engineering support and field services for the ESSO Longford Liquids Pipeline Project. Stockton will undertake reviews of contractor engineering and place superintendents in the field to monitor progress on the 85 horizontal directional drills. The works will be managed by NACAP Australia with Pipeline Drillers Group undertaking 14 major HDD crossings and Australia Wide Directional Drilling undertaking 70 mini HDD’s. Stockton HDD field services help to ensure that health, safety and environmental incidents are avoided and that a quality product is installed inline with the project specification, drawings and global practice. The works commenced in February and are expected to extend over two summer seasons to April 2017.